I went to Village Bagels the other day to have another Rainbow Bagel, and this time, I got it with plain cream cheese. It's about 1 hour before closing on a weekday, but there's a basket full of Rainbow Bagels that day, which was the first day of Passover and I wonder if it's one of the reasons. 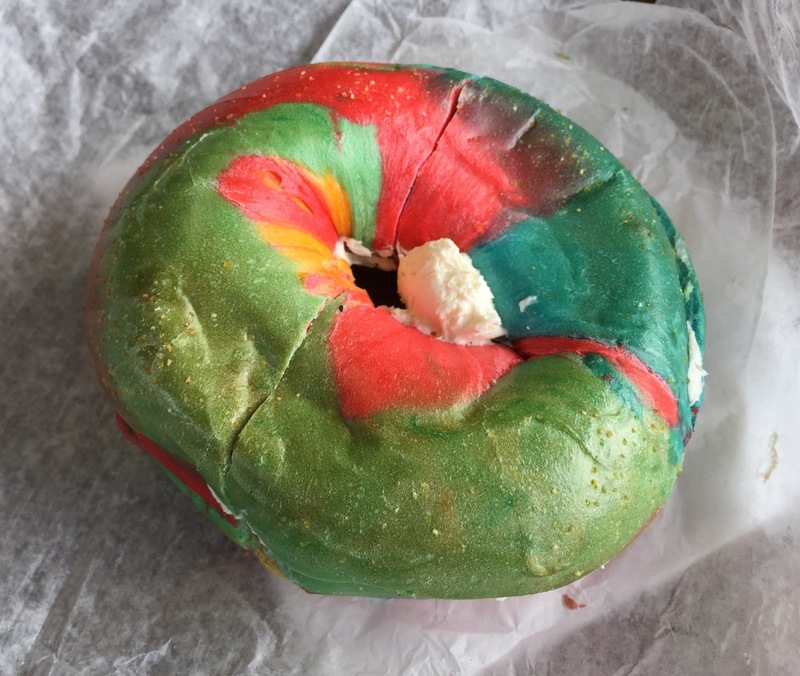 This time, the bagel I got was greener than the last time. 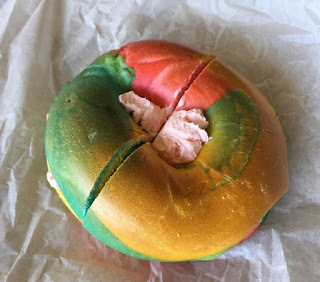 The previous bagel with strawberry cream cheese. 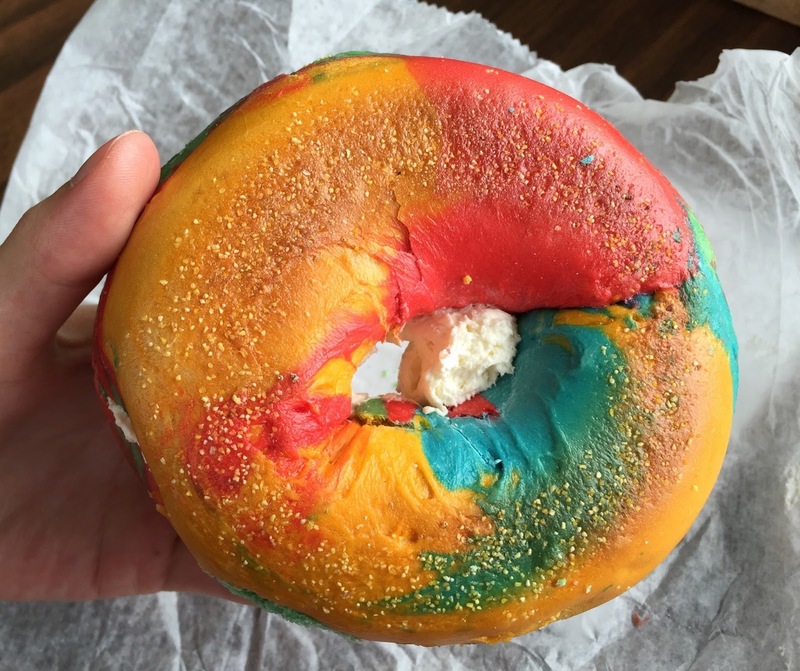 The inside of the bagel was bright blue, deep pink, yellow and green. Like last time, the bagel was chewy and dense, in a good way, and lightly sweet classic bagel. 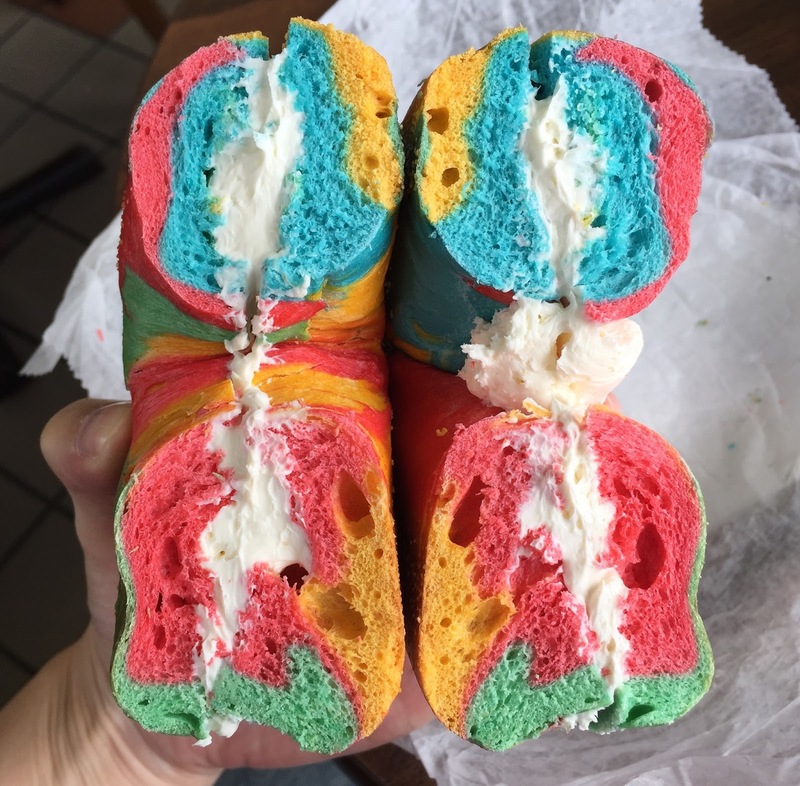 I've eaten their bagels several times, but they never fail! 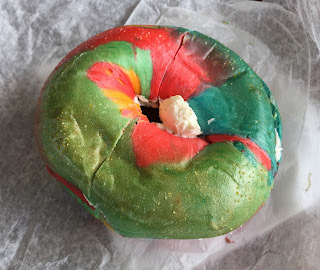 Another review of Village Bagels.